Siddhidatri. Hence, each day of Navratri has a different color, binded to nine beautiful incarnations of divinity; following are the navratri colors (with their importance and significance); can be worn reflecting each form of Godhead. 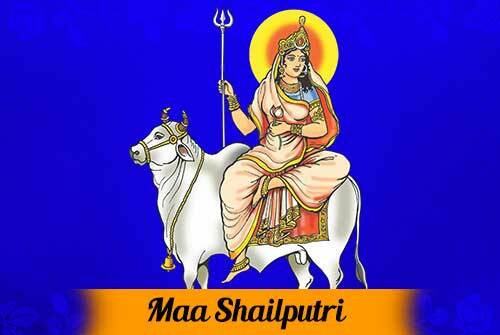 This auspicious day dedicates to Goddess Shailputri. She always wishes her devotees to venerate the Navratri Puja with Royal blue. If you revere the divinity with this color, your wishes would be fulfilled. 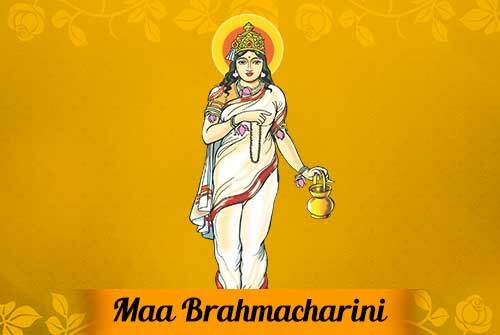 The second beautiful incarnation of NavDurga is Goddess Brahmacharini. Her ardent worshipers grant deep respect to divinity and wear her most favorite color Yellow. Yellow seems to be very close to her heart. Hence reverencing the deity with her all time loving color is no lesser than a boon. 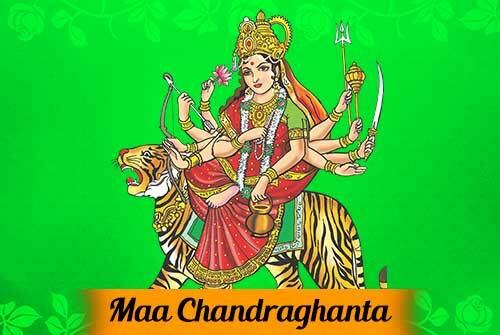 The third day of Navratri is committed to a beauteous incarnation of the Goddess Chandraghanta. Her color is Green and Green is a symbol of autumn season. 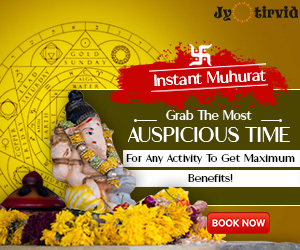 Since Chaitra Navratri falls in the same seasons, therefore goddess’s ardent devotees use green leaves and Hibiscus flowers to make garland for the offerings. The 4th form of NavaDurga, Goddess Kushmanda is a fond of Grey color. Grey is being the lightest shade of black symbolizes energy, power and strength. 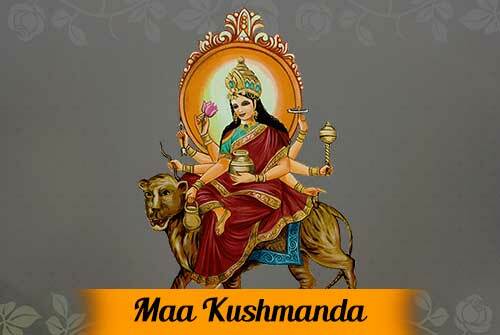 Maa Kushmanda ends the evil effects and darkness with her divine smile. She always worshiped while wearing grey clothes during the Navatri 4th day. Orange is Skandamata’s all time favorite. Since, the fifth day is precisely dedicated to the incarnation of Goddess Parvati. 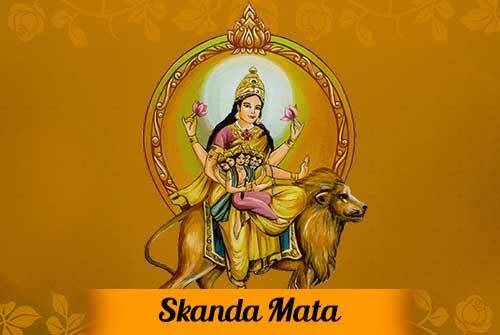 Goddess Skandamata always embellished with orange shades at the time of performing rituals during Navratri season. Followers should arrange a wide variety of orange colored things to please her while the veneration. 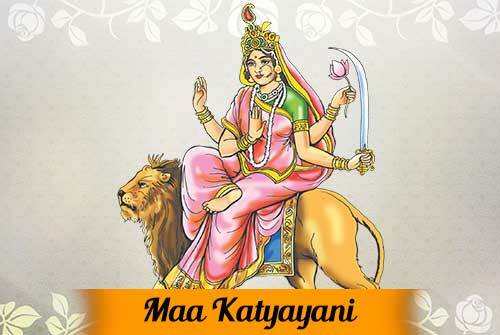 Goddess Katyayani– The godhead of harmony and serenity. She always cherishes with white; the color of peace by her beloved devotees. She bestows her immense boons and blessings at the time of Navratri. If she offered white flowers and other ingredients during puja. It is also a belief, if a girl wants to get a perfect husband for her, she should proffer the garland made of white flowers to the deity. Red is the color which makes people more devoted. 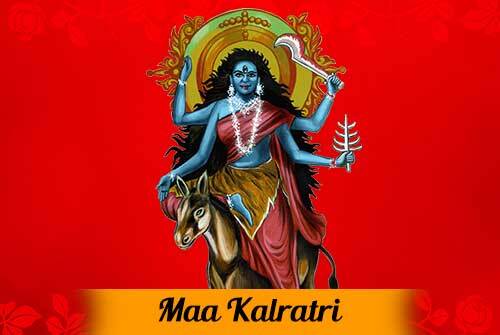 The seventh day is deeply devoted to Goddess Kalratri. Most ferocious incarnation of Maa Shakti and always worshiped with red color things. People offer red color flowers, garlands, vermillion and red outfits to mother idol during the seventh day of Navratri– Utsava Puja. 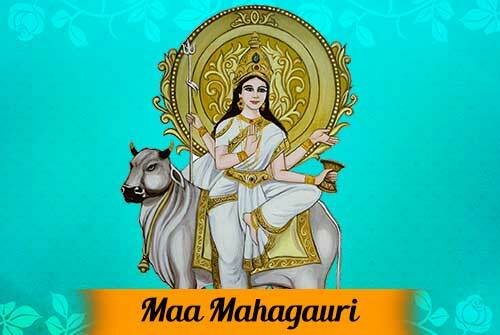 Sky Blue- the best shade of color blue is Goddess Mahagauri’s favorite. Maha Gauri venerate on the second last day of Navratri with utter devotion and gaiety among her devotees. Mythology reveals that she is the most beautiful and glows very brightly. She loves the color blue. Since Lord Shiva is famously known to be Neelkanth among his devotees because of drinking halalala vector during Samundra Manthan (sea-churning). Pink – the perfect shade of beauty dedicates to Goddess Siddhidatri. People arrange pink items to offer to the deity during Navratri. She is the last but not the least embodiment of the Goddess Shakti and thus worshiped with sheer love and dedication. Pink lotus is one of her weapons and thus she holds it all the time. Make this distinguished colorful festival a way special and try to wear these dedicated beautiful shades of colors during each day of the festivity to show deep respect to the NavDurga. For sure, she would be enlightened and contented by your sheer affection and shower all her blessings upon you. Wish you all a very Happy Navratri. 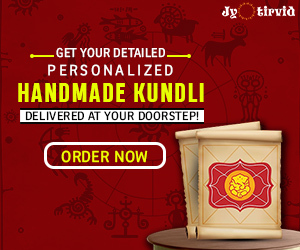 How Did Lord Jagannath Come Into Existence!